Home » Local News » Books Reviews » International Cookbook Deal for Local Bakery! International Cookbook Deal for Local Bakery! International Cookbook Deal for Local Bakery. Local residents and savvy visitors flock to Jana’s Bake Shop to covet fresh-baked goods that are distinctly Salt Spring Island. 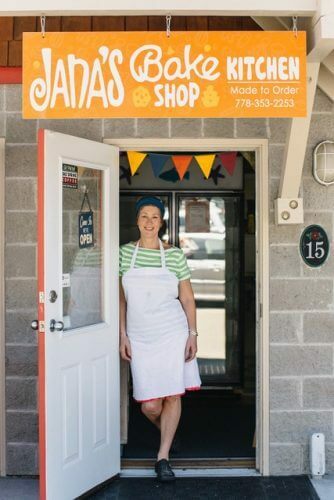 Jana’s bakery on Upper Ganges Road, is a perennial hive of activity and her special-order cakes and desserts are the highlight of many family dinners on Salt Spring. Soon, those delectable sweets can be re-created in the comforts of their own homes. Her upcoming cookbook will feature more than 80 delicious, easy-to-make recipes from beautiful cakes, pies, and cookies to savouries and condiments.